We have opportunities for sponsorship with our annual signature event. Click on the link below to make a donation using PayPal. You can support Pearls of Service, Inc. each time you shop on Amazon. Simply go to AmazonSmile and select Pearls of Service, Inc. Plano, TX as your charity. With each qualifying purchase, AmazonSmile will donate a small percentage of your purchase to Pearls of Service, Inc.
Click the link below go to AmazonSmile. Pearls of Service, Inc. is a registered charity as part of Kroger's Community Rewards program. Our NPO number is MB438 under this program. You must register on Kroger's online website. Pearls of Service, Inc. succeeds through the generosity of friends, corporate and community partners, and people like you. Your generous contributions make it possible to implement community programs and to positively impact Collin County residents. Since 2007, more than $100,000 has been awarded to local area students and over 100 programs have been presented on health, economic and family strengthening. 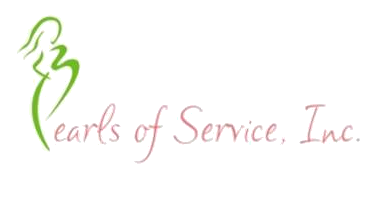 There are many ways to support the work of Pearls of Service, Inc. For more ways to partner with us, please contact vicepresident@pearlsofservice.org.